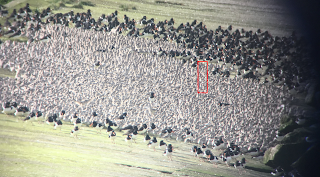 Rose sent me the Ed Keeble method as applied to the heliport roost a couple of days ago and her estimate fits very well with the easier counts of birds spread over the feeding areas off Heysham Head. Thanks for this. 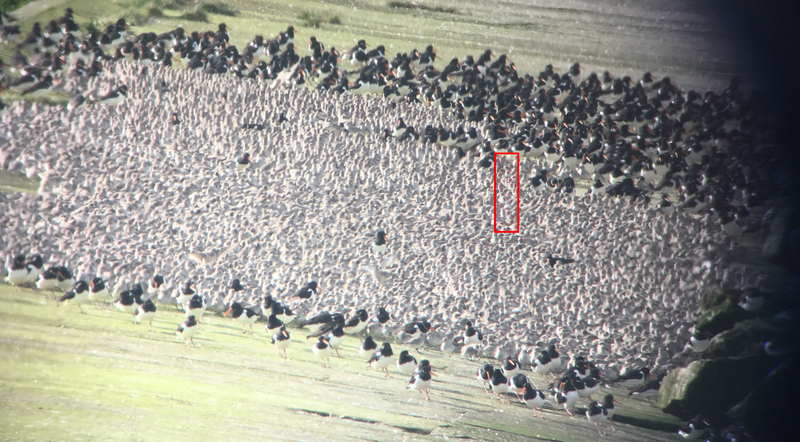 50 knot counted and marked in red box, each with a dot. 10 boxes indicates 500 knot. I think there are about 80-100 of these boxes. I made copies of the 10 boxes till they roughly filled the area. Caveats: 1) knot appear larger on the left and bottom, and smaller on the right and top, so box size might be incorrect, 2) relies that all the knot can be observed in the red box e.g. none hidden.